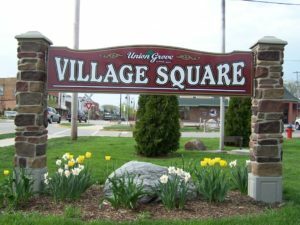 The Union Grove Community Development Authority (CDA) develops programs to support private investment in the Village with special focus on the downtown central business district. Guided by the 2006 Downtown Redevelopment Plan and the Village’s Economic Development Plan 2014-2016 the CDA coordinates redevelopment projects in TID #4. The CDA through its plans and programs makes available property information, financial incentives and public infrastructure improvements to development projects. We’re all about improving the community in which we live. Below you’ll find important resources to get you started. Current Development Projects – Information about current/proposed projects in Union Grove. Rent Assistance Grant Application – The program may resume in the year 2019 upon the discretion of the Village CDA. RCEDC and its partners provide business with almost every service needed to compete an expansion, relocation, financing, or workforce development project.